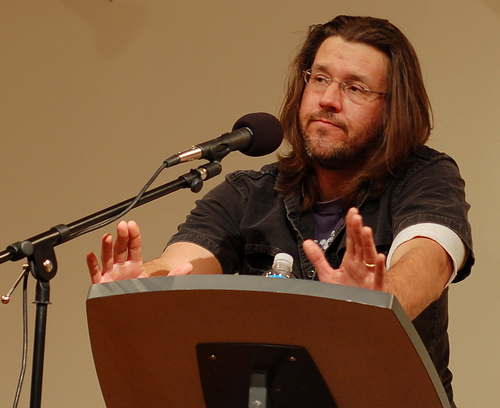 David Foster Wallace, age 46, was found dead on Friday by his wife. We've lost one our generation's big literary figures. Will his writing last? I'm not sure, but he was a literary force, and we need those in the world. I remember reading "The Broom of the System" before I even knew who he was (well, before most people knew who he was). I was intrigued by the title and the description. 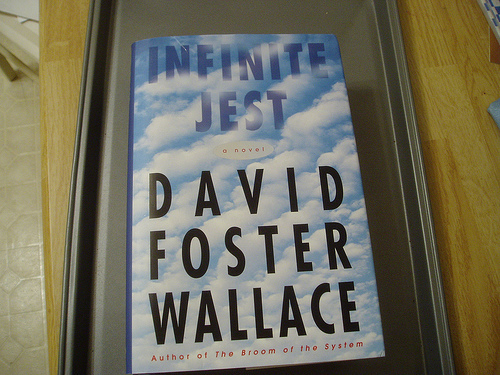 The book was crazy with wordplay and difficult to follow--with very little resolution--kind of like modern life. It was also the first time I encountered the name "Stonecipher." The name still rattles around in my brain every now and then. My thoughts go out to his family and his students. OH God Todd my weekend just crash and burned! This is horrible news.